‘Lucha’ is GoPro’s first-ever feature-length documentary, which follows several famed luchadores as they navigate life as professional Lucha Libre wrestlers. The world of professional wrestling is one of most well-known, and celebrated, forms of sports entertainment across the globe. But to most fans, the inner workings remain a mystery. They see their heroes on stage, but what remains when the lights go out? Nearly a year ago, GoPro set out to answer this question. And to do so, we went to one of the birth places of modern wrestling—Mexico City. Known locally as Lucha Libre, the sport is deeply rooted in Mexican culture and dates back to 1863. But what sets Lucha Libre and its luchadores apart from other professional wrestlers are their iconic masks. Once a luchador dons their mask, they take on their ring personality, and they take it seriously. GoPro wanted to capture these famed luchadores in action, but we also wanted to let them tell their story outside the ring—after the mask comes off. We sent three of GoPro’s finest filmmakers down to Mexico City to film for seven days with the intentions of creating a 30-minute mini-feature. Nearly four terabytes of content later, they realized something twice as good (and long; literally, it’s 60 minutes) was coming together, which brings us to today. 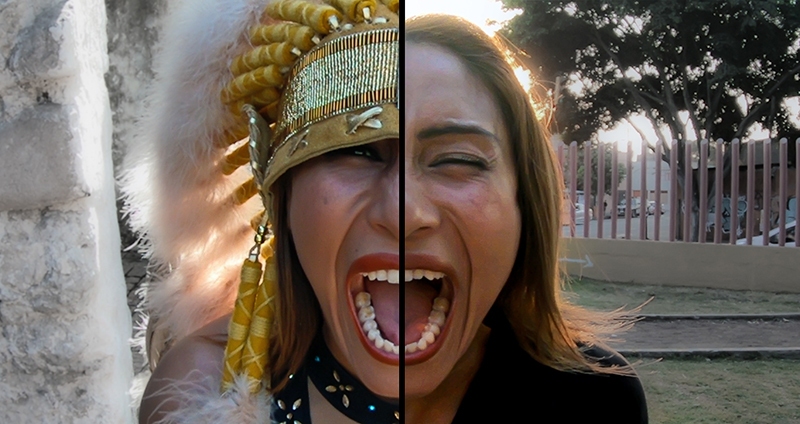 Today, we are proud to announce GoPro’s first-ever feature-length documentary, "Lucha." The never-before-seen film, shot entirely on HERO6 Black, follows Ian Hodgkinson, better known as Vampiro, who was a famed wrestler in the late ‘80s and ‘90s, and his works as a story producer for AAA. Ian is able to tell his story while simultaneously delving into the lives of two of his star female luchadores: the up-and-coming start El Hijo Del Fantasma and veteran Faby Apache. They are known to millions as stars in the ring, but when they get home and the mask comes off, they’re met with daily life struggles. But despite all the sacrifice and pain that comes with being a player in the AAA world, they wouldn’t give it up for anything. Lucha aired initially on Aug. 25, 2018, via the Lucha Libre AAA Twitch channel. It was also featured in the 26th Annual San Diego Latino Film Festival in March 2019.